Have you ever been so hungry that an ordinary object looked dead on like food? Well, get ready for a whole slew of things that look deceivingly like food but are far from it. Oreos are a classic snack. Load up some milk to go with them and you’ve got yourself a tasty treat. 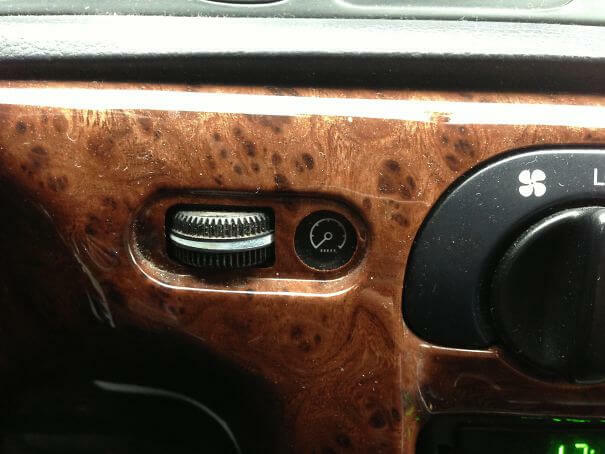 However, we didn’t know that they started placing oreos in cars as light dimmers. Don’t get any ideas when turning one of these. You’ll need more than milk to eat it. 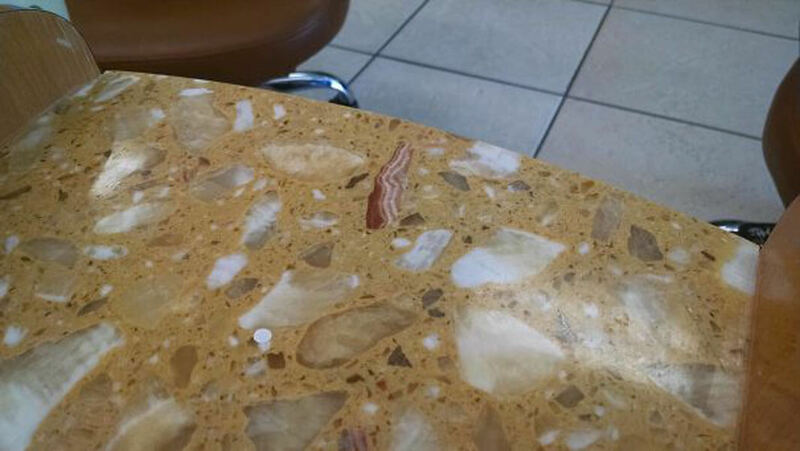 Looking at the rest of the design for this tile, you might be confused as to why there is a bacon looking strip randomly placed there. It is the only piece of tile that has those colors too so this was either mess up on design or someone was hungry with bacon on their mind. This is a very odd looking mushroom, first of all. But what is most odd about it is that it looks like a chocolate covered donut. 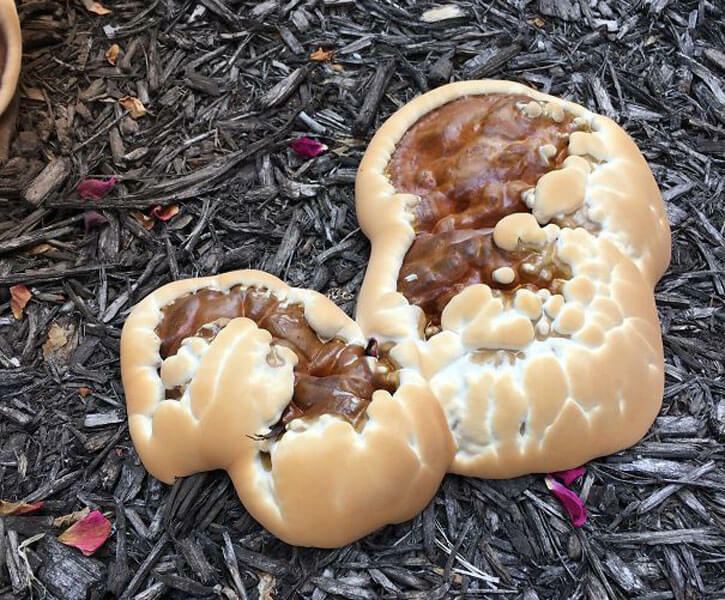 We aren’t sure if this edible or not but would you really want to try this odd looking mushroom? Maybe an animal would. Someone saw an opportunity and took it. Having an extra kiwi sticker and slapping it on the back of a poor kitten who looks like a kiwi is a genius idea! 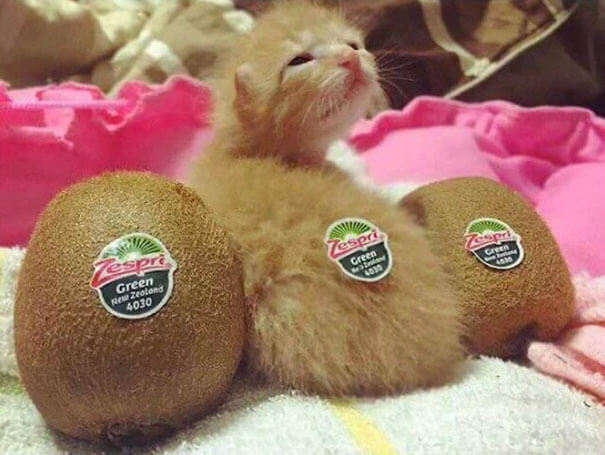 If you had these three in a lineup and asked someone to pick the cat, they might pick the kiwi. Is That A Garage Or…? 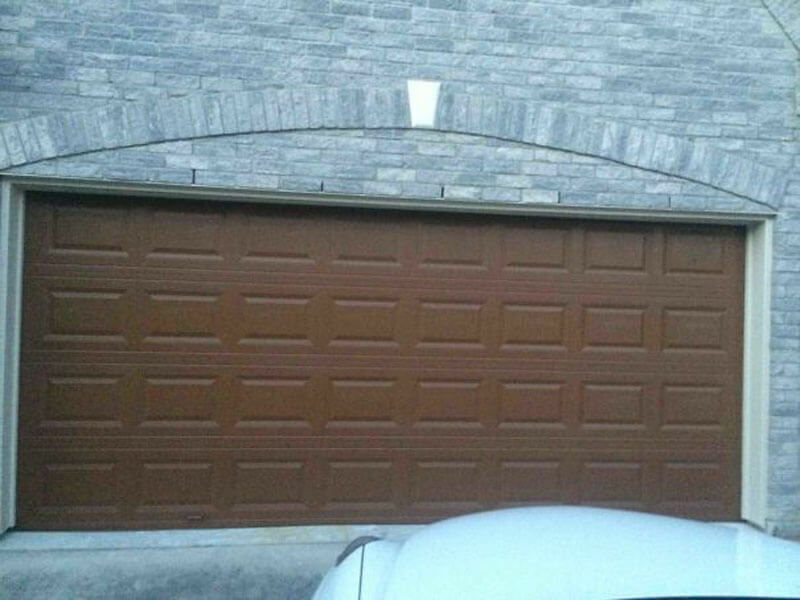 The story behind this is that the parents wanted their garage to look like wood. What they got instead was a giant looking Hersheys chocolate bar for a garage. Just look at it. Don’t you want some chocolate now or at least to open a package and see how striking the resemblance is? 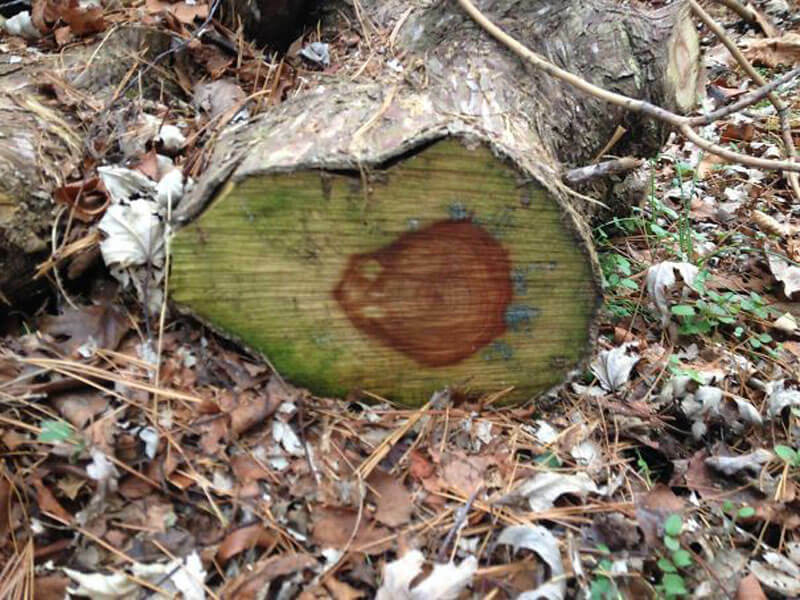 This log looks so much like an avocado. It is as if it saw a sliced open avocado and made itself look like one. Something like a chameleon. It’s a good thing not all animals are obsessed with guacamole or else this log would have been long gone. Tree’s are some of the most common things that can look like something edible. 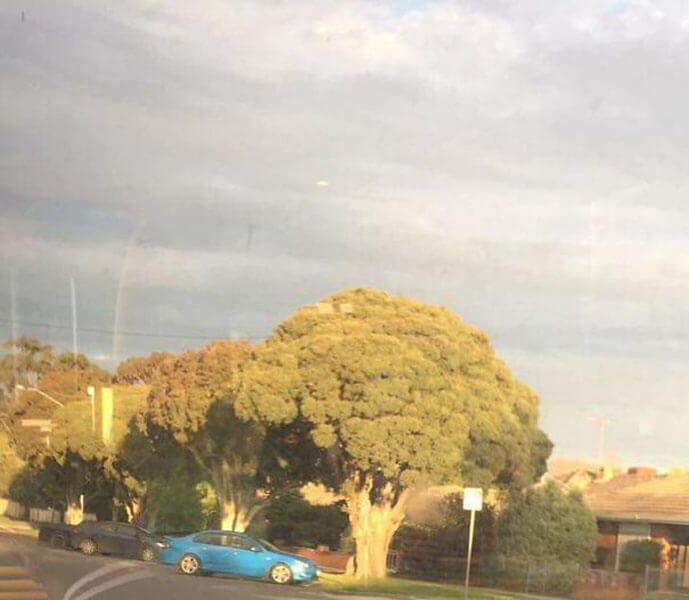 Some palm trees just look like oversized pineapples and this tree right here looks like a gigantic piece of broccoli. It makes you want to eat fresh whenever you pass by one. We’ve never seen any type of flower that looks like this. 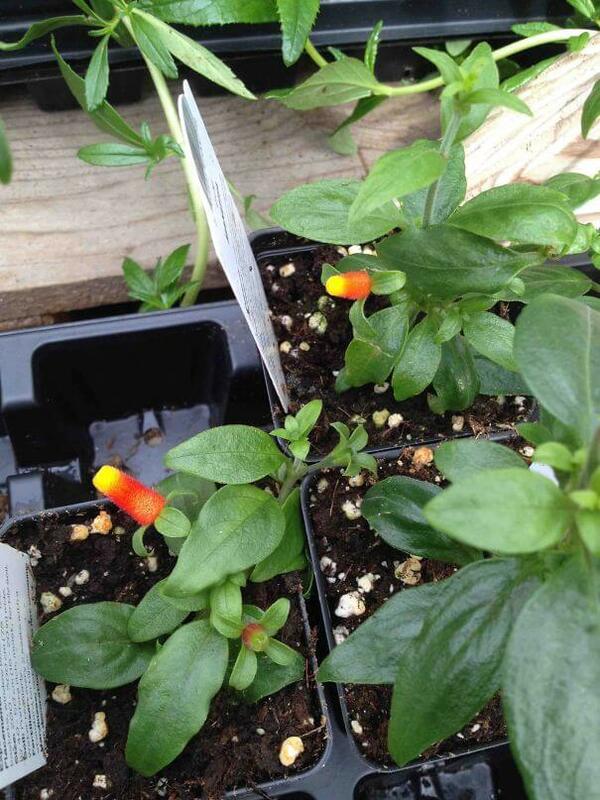 For it to resemble a piece of candy corn so much is quite amazing. We wonder if giving these to your girlfriend would be just as good as giving roses. Maybe someone should give it a try. Here we have another mushroom. 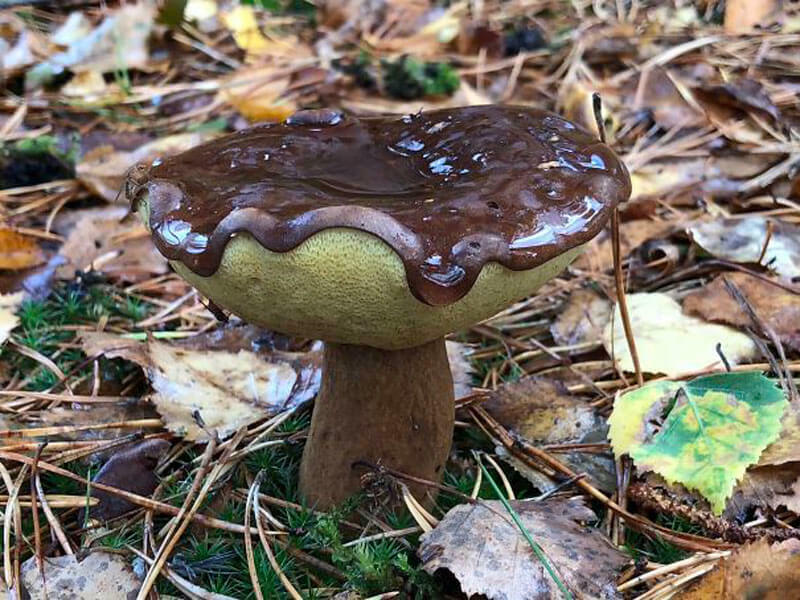 This time, the mushroom looks even more like a chocolate donut. If you were walking in the grass minding your own business and saw this, you might think someone is having a bad day because they dropped their treat. Remember, don’t anything off the floor. 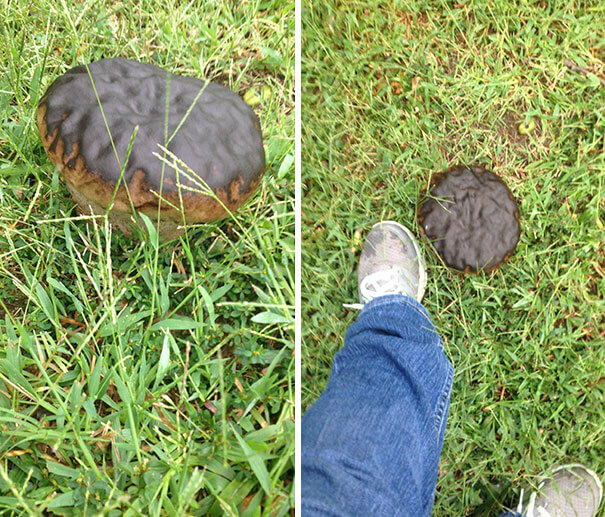 What you are seeing now must be some type of fungus growing out of the ground. 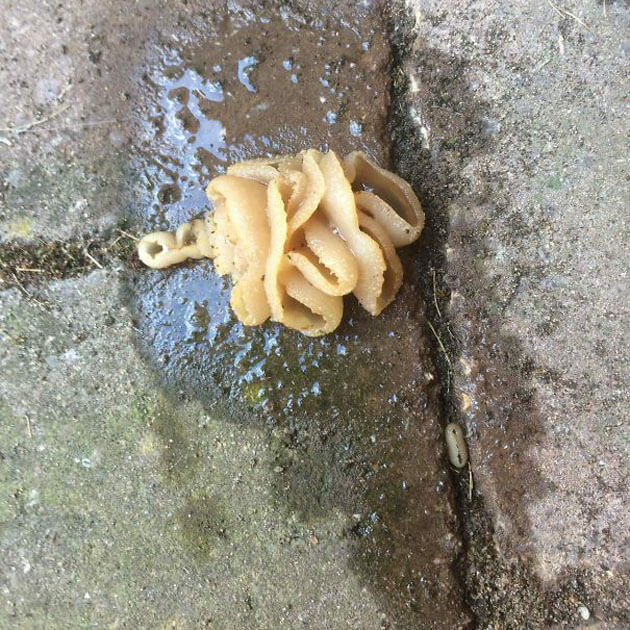 But what the hungry man sees is some crazy looking pasta noodles! This is some strange looking fungus but fungus always looks odd. We just never thought it would end up looking like a dish from Olive Garden. 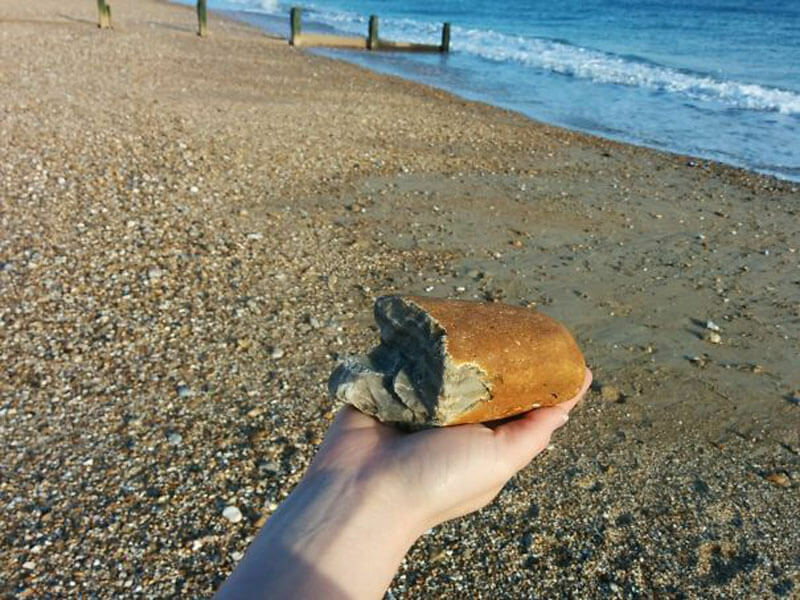 This giant rock that was found on the beach is unusually bigger than the rest of those rocks we see. Oh, and did we mention it looks like some bread too! Maybe not so much the insides but the outside carries all the bread like features. 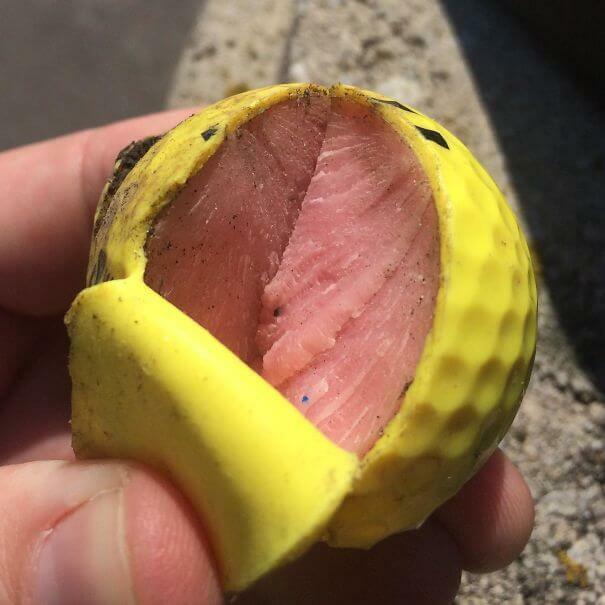 Have you ever opened the inside of a golf ball? Not everyone has and we aren’t sure the insides all look the same but this yellow golf ball has a surprising look to it. The insides of this ball look like a Thanksgiving sliced honey baked ham. Here we have just a normal loaf of bread. Wait, this is not bread at all. 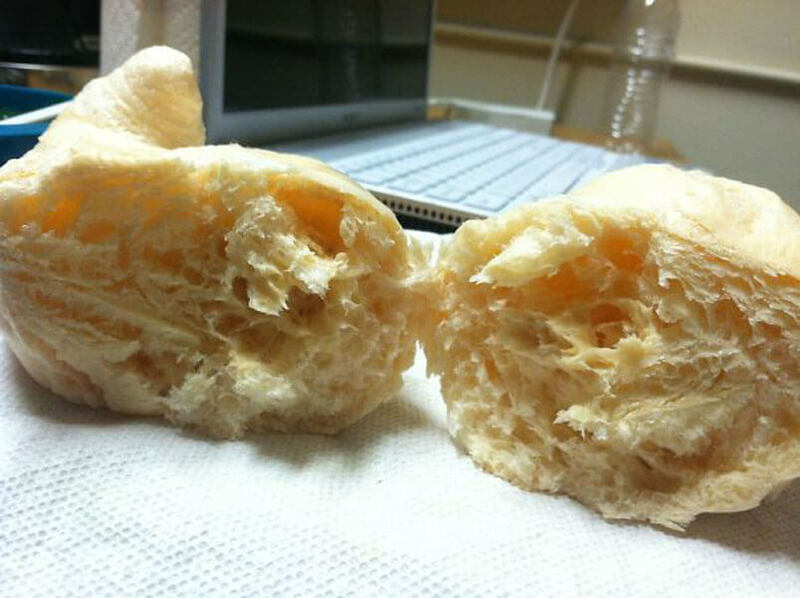 This is really soap after it has been microwaved! Who would have guessed this is the result when you do something like that? It is unclear if all soaps can do this but if so, that’s pretty nice. This set of water hose is extremely dirty. 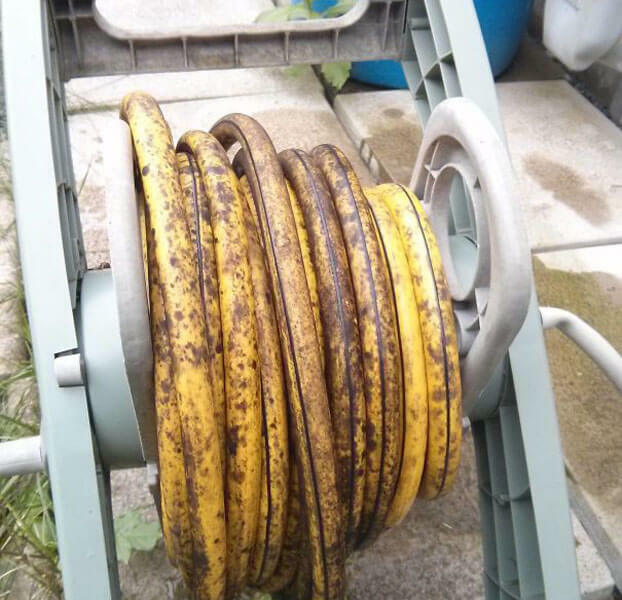 So dirty that it looks like some old bananas or plantain. The owner of this needs to take a separate hose so he or she can clean this big mess up. You wouldn’t want a monkey to walk by and see this. If there were ever a time to get fried chicken confused with little dogs then it would be now. 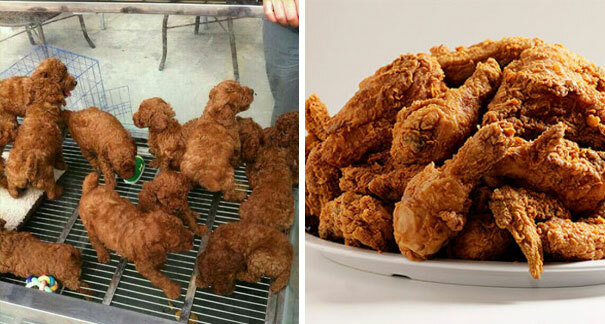 From the distance, yes these dogs look just like a plate of succulent fried chicken. But to see this in person, you might not be as confused. Swimming underwater can be dangerous because we still don’t know everything that is under there. 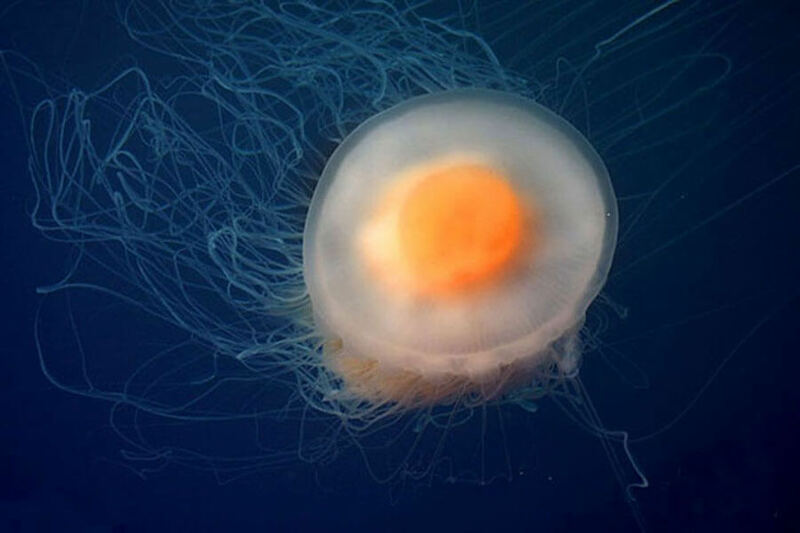 We do know that there is this jellyfish that looks just like a sunnyside up egg. How many sea creatures do you think try to eat this little guy? If only they knew. Smores are always a good idea on those nice autumn nights. It would be even greater if they can already be made for us but that takes out the fun of roasting the marshmallow yourself. Well, you can always find nature’s smore. 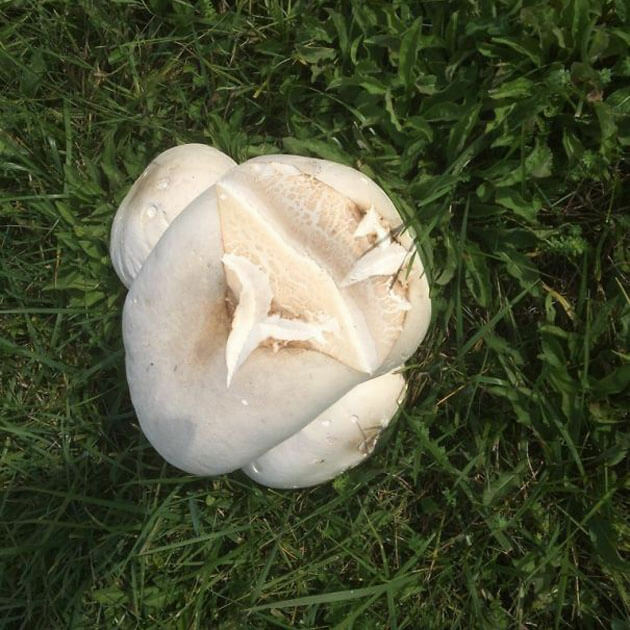 This mushroom looks just like a marshmallow. 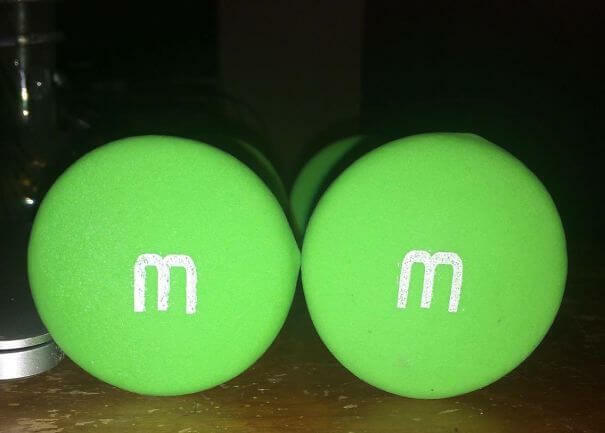 Wow, they make giant green M&M’s now? If they don’t they should because these look really good, even if they are weights. This is just bad product design because from this angle and maybe this angle only, everybody would be confused by it thanks to the giant “M”. If you were ever in the mood for a giant piece of popcorn because you didn’t feel like popping it then here is your alternative. No, but really, this looks like a huge piece of a single popped popcorn. Mushrooms can look like a lot of things and we didn’t know popcorn was one of them. If you were to just see the top image then what would you think it was? 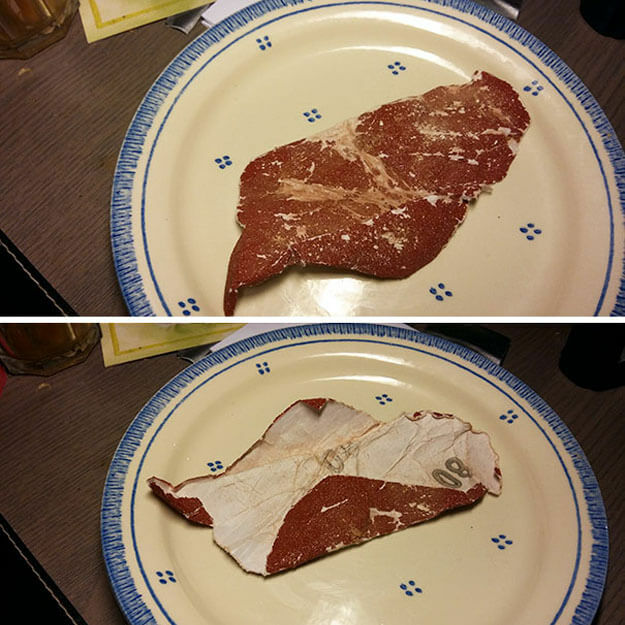 At first glance, it looks just like steak. But if we told you it wasn’t steak then what would you think it was? This is really just some sandpaper.